I just happened to walk into a junk store and saw this hidden under a pile of old magazines. I managed to get this for a good price however it didn't come with an AC adapter or hand controllers. At this time I still don't have an AC adapter, any controllers or NES games so I have yet to test it out however it seems in reasonably good condition. 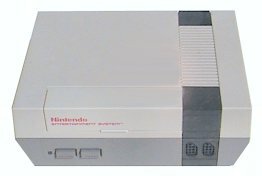 My second Nintendo NES is one I've picked up from an online auction site, it's boxed with manual two controllers, RF and power adapters. 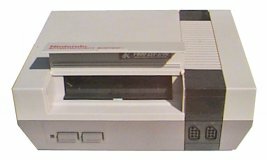 As I still have no games for this system I'm unable to test it but the seller has said it to be in working condition.